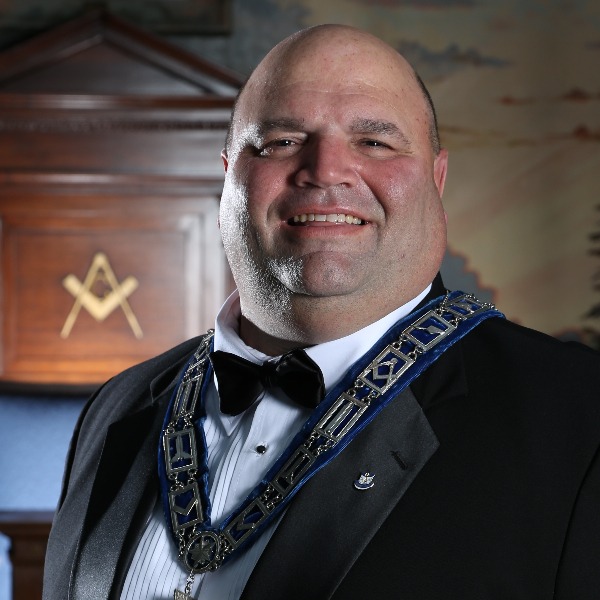 I consider it a privilege that the Brothers have elected me Master of Harmony Lodge for the 2018-2019 term year. I am extremely humbled in knowing that I am following a long line of dedicated Harmony Masters and whose love of the Craft is well evidenced by the fact we are celebrating 213 years since our dispensation and charter were granted and there are no signs of us slowing down. To the Officers, both elected and appointed, thank you for agreeing to continue on this journey with me and showing the willingness to serve this very distinguished and extraordinary lodge. I could not ask for a better line to support the work ahead, the individual and diverse talents of these men make us a team of officers that I know will lead us forward in upholding traditions of Harmony but also nurturing growth with distinction. As much as the upcoming year is talked about as being “my” year, this is a group effort. It is also an opportunity for each of the Officers to continue to learn and grow, so that when it is their turn to sit in the East, they will be well prepared. The Harmony schedule does not typically allow for any of the Officers to “ease” into their roles, as no sooner do we sit in our new seats, then we are off and running. Some upcoming events include: Sick and Shut In Visitations; Gift Wrapping and Lodge Decoration Party; Holiday Food Basket Preparation at St. John’s and our Children’s Christmas Party. Each of these events is important, so please plan on participating in as many as you are able. Looking further ahead, Harmony is in the fortunate position of having a potentially large incoming class. Due to the size, it may be necessary to have two Entered Apprentice degrees. Please keep an eye on the next issue of the Trestleboard, as there may be a change in previously advertised degree dates. We will also be planning our Annual Getaway Weekend, I have not been able to lock down dates before this message needed to published but I assure you all details will be forthcoming at our December Communication and published in January. My wife Denise and I will be spearheading the event with a notable cast of characters. I am excited for the upcoming year and I will have much more to share in future Messages. In the meantime, please do not hesitate to reach out to me with any question or concern you may have and please be sure to read about the upcoming events in this issue and also on the online calendar at Harmony9.org.